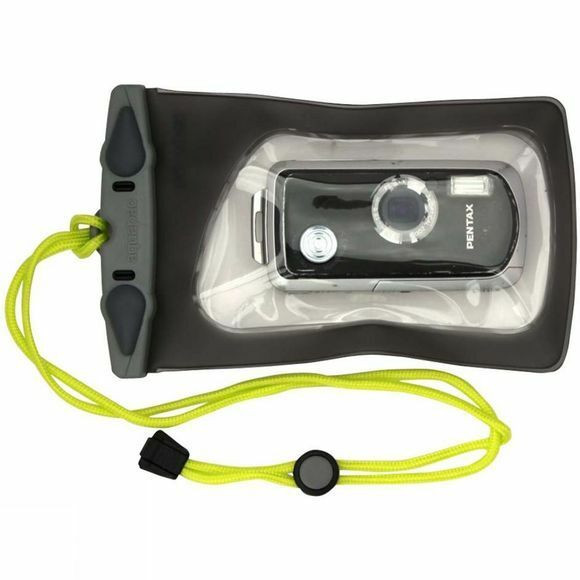 Aquapac's smallest waterproof camera case, perfect for today's mini digital cameras. The optical-quality LENZFLEX material allows you to take photos while enjoying the outdoors, keeping your camera protected at all times. Take pictures while out on the water – and in the water too!